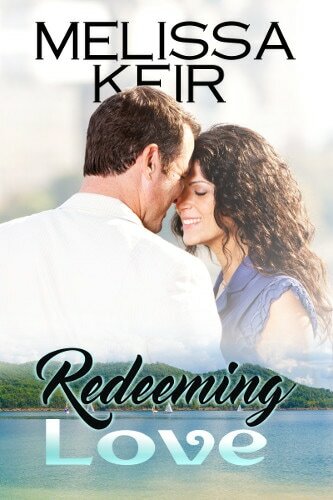 ​Redeeming Love is about two people who used to be in love but things got in their way. The story weaves the past and present together in a way which keeps you guessing until you find out what really tore them apart and if they can find love again. Andrea Gill is America’s sweetheart after winning Olympic gold in Woman’s swimming, but she is hiding a secret she’s kept since she was in high school. Jason Dree loved and lost the girl of his dreams when he was a junior at Lucasville High. He’s never heard the truth about why she left and it’s hunted his life. What happens when Jason and Andrea finally reunite, will they continue to battle their demons or will the love they share, redeem them? As he ran the damp rag over his face, he noticed a patch of gray hair at his temple. His father had been gray by his thirties and it appeared Jason was following suit. He dropped the cloth back into the sink, unbuttoned his shirt, and peeled off his clothes. The cool air puckered along his arms and revitalized him after the long day. Standing in his boxers, Jason took a “whore’s bath,” cleaning up enough for dinner alone. The silence depressed him. The home felt empty after the years of happy conversations and family celebrations. After his parents’ deaths, Jason hadn’t wanted to move. While he’d spent a great deal of money updating it, he hadn’t done it with a specific woman in mind. He’d hoped someday to bring a wife here and start his own family. But so far, he hadn’t found “the one.” Lately, he didn’t have the energy for dating—the chase, the getting to know someone, or creating dreams of what might be. Oh, he’d been in love before but not seriously since high school, when his perfect girl broke his heart.